LinkedIn made a move that should boost its content value, as the company announced Thursday that it has acquired online education platform Lynda.com. Through Lynda.com, people can watch videos and receive training in areas such as design, web, photography, business, 3D + animation and video. The deal was reportedly worth $1.5 billion. Once we began meeting regularly with founder Lynda Weinman, CEO Eric Robison, and their team, we immediately saw that our focus and vision was in complete alignment. Both companies believe strongly that the growing skills gap is one of the biggest challenges to the future of the global economy. We also believe passionately that education without economic opportunity is not enough; neither is access to opportunity without the ability to acquire education and skills. Lynda wrote a post on LinkedIn this morning about what this means to her. 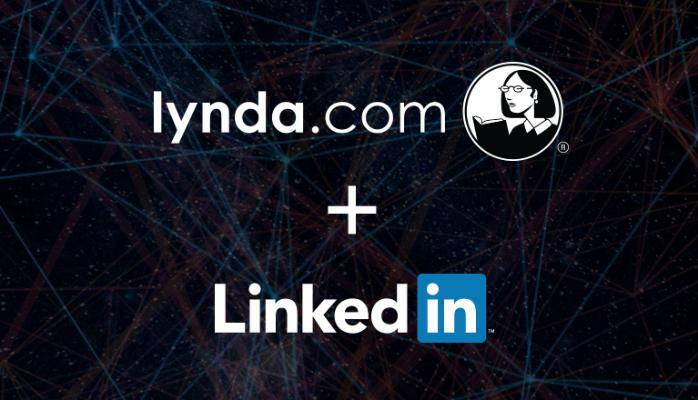 The combination of LinkedIn and lynda.com is the kind of fit that benefits everyone. LinkedIn has the members, the jobs, a unique understanding of the skills required to do those jobs, and a publishing platform that can be accessed by roughly 350 million people to share professionally relevant knowledge. lynda.com’s service has the premium library of skills-based courses. Together, we can bring opportunities and access to knowledge that everyone deserves. And together, we can more easily build the Economic Graph by mapping together the people, jobs, skills, and knowledge that are core components of it. When we were approached by LinkedIn, we instantly recognized that the synergy between the two companies offered a match unlike any other. LinkedIn has the largest database of professionals in the world, all of whom potentially benefit from self-paced study of new skills. Jeff Weiner, CEO of LinkedIn, and I both believe that the skills gap is one of the leading social issues of our time—technology, changes fast and people need to keep their skills up to date. We have a shared vision of connecting relevant knowledge to those in need of new or stronger skills, and believe that together we can positively impact the global job market and economy. Readers: What do you think the acquisition means for the future of LinkedIn?